Published on 1 September 2018 . What are you really expected to do when you’re asked to pitch an idea as a startup founder or intraprenuer? Search the usual sources and you’ll find a range of definitions for ‘pitch’, but there are some common attributes. A pitch is a deliberate, calculated, measured action to achieve a specific result. It’s intended to hit the mark and reverberate satisfaction. It’s staking a claim on real or future territory. It has depth and viscosity. It has purpose, which is clear to the ‘catcher’ who anticipates the direction and impact. A chuck, on the other hand, throws up an idea in a general range with the vain hope that most or maybe part of it will fall into the lap of the target, who will somehow know what to do with it. When you pitch a ball, for example, the energy is concentrated and contained for optimum delivery. Chuck that ball and the lack of focus dissipates its energy – it slows down, is distracted by the air around it, and wanders off on landing. Here are six pointers to help you pitch your idea for the mark. Keep it tight – Most pitching opportunities have specific and rigorously monitored time limits, so every word, gesture and movement has to count towards your goal: to persuade the listener that your idea has power. Stick to the main concepts and benefits, and don’t waffle. Focus on the mark – That is, what the investor wants to hear from you, not just what you want to tell them. Do your research and find out what matters to them; don’t assume they’ll share your understanding of the underlying science; be clear about what’s in it for them and their interests, not just you and yours. You want them to enjoy the exchange, not feel like you’ve just ‘chucked’ all over them. Make it vocally interesting – If you’re going to rely on a series of detailed slides and hand-outs then you might as well just mail it to them. Investors need to believe that you can make your idea mean something good for others. They’ll connect (or not) with your presence before they ‘get’ your idea (or not) and want to make it theirs too. That time is best spent talking, so leave the reading for the plane trip home. Make it visually interesting – If you’re pitching with slides, keep them simple: easy and quick to read (no more than six points of six or fewer words in large font per slide); include pictures and diagrams that can be understood from at least a metre away; and use them as your support act, not the other way round. Don’t let the technology let you down – If you’re pitching in person, find out beforehand what the room is like and whether your version of PowerPoint, Keynote or Prezi is compatible with the system provided so you are slick not slow when you start. If you’re taping a pitch, find out what formats to use, and take as many ‘takes’ as you need to make yourself look and sound confident as well as meet the criteria before uploading the file. Keep your eye on the prize – Remember what you want from the pitch and it will empower you to deliver it with passion and conviction. Share your ambition with the investor so they understand how best they can help you. And remember this: prior preparation and practice prevent poor pitching performance. Invest your time accordingly. 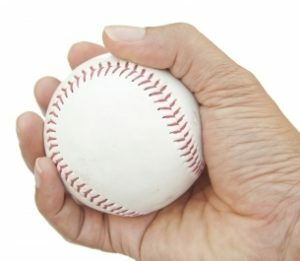 Book a coaching call to make sure your next pitch hits a home-run and buy the book that puts your nerves in perspective.